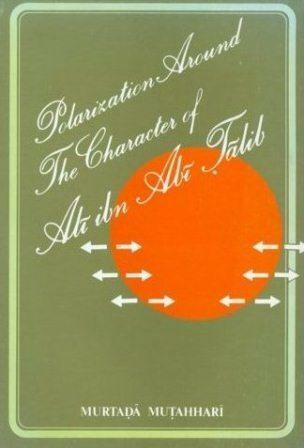 Murtadha Mutahhari, in this book has studied Imam Ali’s personality in regard with the attraction and repulsion. According to the author, the great personality of Imam Ali is broader and more multi-faceted than to be addressed in all aspects. One of this aspects that is in focus of the book is effect of Imam Ali’s behavior on people, either positive or negative, or, in other words, his powerful "attraction and repulsion". The present book consists of an introduction and two chapters. In the introduction part Murtadha Mutahhari has addressed the law of attraction and repulsion in their broader sense, and the attraction and repulsion of men in particular. The differences in attraction and repulsion in humans have been discussed. In the first chapter, under the title “the power of attraction of Ali (as)” Murtadha Mutahhari has discussed, attraction power of Imam Ali which has, and always will, pull the hearts of people towards him, the philosophy of this attraction power, and advantages and results of this capacity. In this part also the “Shi`ite” has been shown as religion of love. In the following pages the writer has introduced the concept of love, love in the Qur’an, examples from the history of Islam about love, and love for Ali in the Qur’an and Sunnah. In the second chapter, the writer has discussed Imam Ali’s repelling effect, and how he strongly warded off and drove away certain elements. It is shown that Ali (as) was a man with these twin powers, and that everyone who wants to be taught in his way must possess these twin powers. The qualities and practices of Imam Ali (a) that caused others to be attracted to him, including love and devotion to God. The qualities and practices that made his enemies hate him, including his opinions on the caliphate and his sense of democracy.